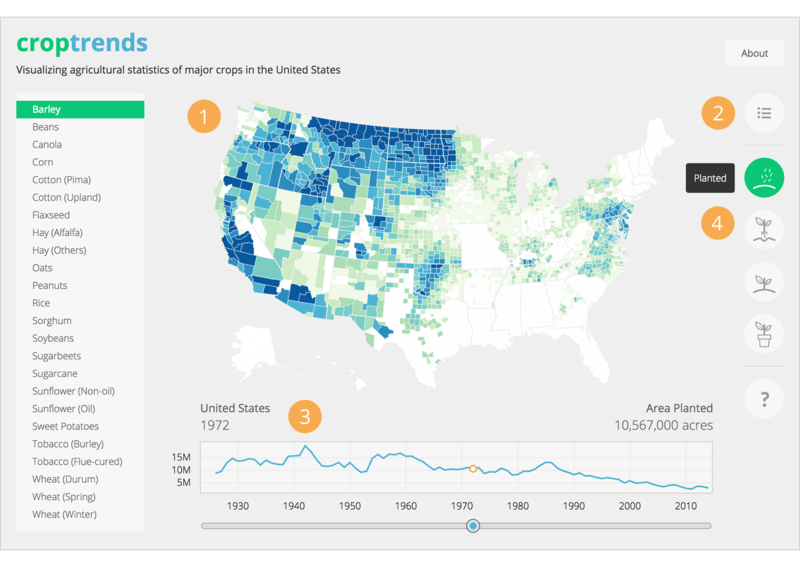 Explore how statistical data can vary across the United States or within a state. View a list of counties or states ranked according to statistical data for easy comparisons. Discover how agricultural statistics for each crop have changed over time. See total acreage planted and harvested as well as yield and production of major crops in the United States.